Across the galaxy, citizens dream of adventure. Of becoming a dashing rogue, a skilled pilot, or maybe even a Jedi Knight. This where Luke Skywalker, Anakin Skywalker, Rey, and even Han Solo began their journeys. 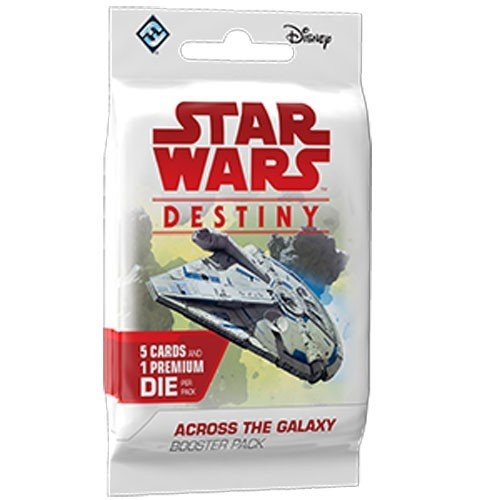 Feeling trapped, knowing they meant for something greater, just needing one shot... Across the Galaxy brings the characters of Solo: A Star Wars Story to Star Wars: Destiny. Before he was a hero of the Rebellion, Han Solo was a cocky young pilot just looking for a little adventure. 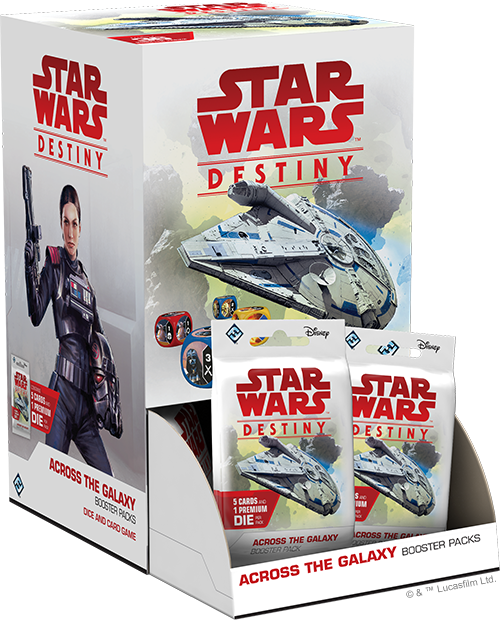 With a crew of like-minded individuals that includes Lando Calrissian and Tobias Beckett, the dashing young rogue finds his way to Star Wars: Destiny. Across the Galaxy brings the block started by Legacies to its conclusion and expands on its themes. You can look forwards to plots with negative point values, cards that grow stronger when you spot specific characters, and new ways to upgrade some of the most famous vehicles in the galaxy.